Do You Need to Escape a Contract? If you are bound by a contract that is no longer working for you, it is important to review the term and termination clauses in the agreement. The term of a contract is the amount of time it remains effective. The termination clauses outline the various ways the contract can end. Most contracts set forth the “effective date” or the start date of the contract and a “termination date” which is the date the contract expires. It is common for an agreement to provide ways the contract can be renewed, which means that a new term for the contract is established for a set period of time. It is important to note that if your contract contains an automatic renewal clause, the agreement will be automatically renewed unless one of the parties provides notice of its intent to terminate the contract. It is imperative that you understand the term of your contracts and your termination and renewal options. You should schedule the termination date and any deadlines for giving notice of your intent to terminate to avoid automatic renewal. You don’t want to miss your opportunity to escape a burdensome contract by missing this deadline! It is important to understand the termination provisions of your contract. The simplest way to end a contract is “without cause,” which means the terminating party does not provide a reason for the termination. You must typically provide written notice of termination to the other party. Particularly from the Buyer perspective, it is extremely important that you negotiate such a termination without cause provision into your contract. If you no longer require the goods or services and therefore, wish to terminate the contract, this clause is one of the few mechanism that permits you to do so. Even if you have a legitimate business reason to terminate, contract law does not permit you to do so without an express provision in your contract giving you that right. 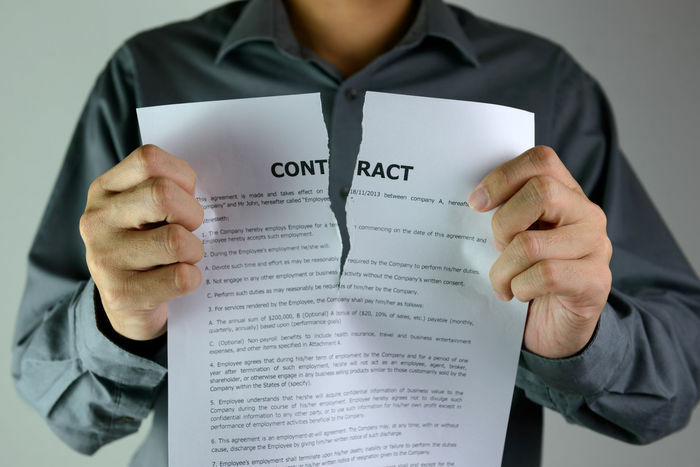 Your contract may also outline how to terminate the contract “with cause,” which means either party can end the contract if certain specified events occur. Depending on the event, the contract may allow the other party an opportunity to “cure” the event and avoid termination. Otherwise, the termination for cause can be immediately effective upon notice to the other party. It is common for termination with cause to result in a dispute over whether or not cause actually existed or if it was properly cured. Thus, if you intend to terminate a contract for cause, it is imperative that you carefully document the reasons for cause and record all events that provide you with cause to terminate. Finally, you should note that there may be certain obligations that extend past the termination of the contract, such as confidentiality provisions. If you are considering terminating an existing contract, call Leslie Marell for help in reviewing the requirements of the term and termination clauses.